“My name is Eric Johnson. 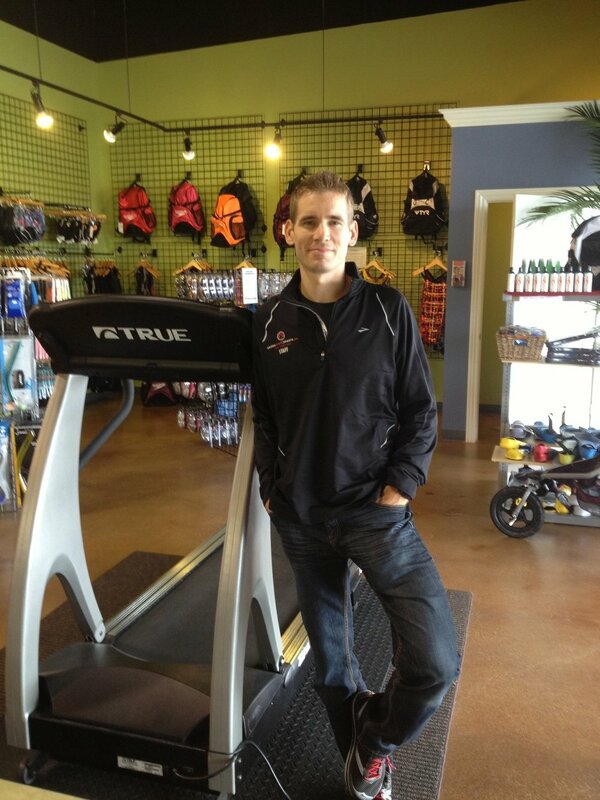 I’m a runner and triathlete, and manage a running store called Ultramax Sports in Springfield, MO. I am a self-confessed exercise physiology nerd but don’t have an advanced degree in exercise science. As a result, I’m always reading and trying to learn more. My fascination with running, shoes, and injuries also stems from an extended bout of lower leg problems stemming from attempting to run through an injury in the early 2000’s. I came across the Gait Guys’ tumblr blog one day and was instantly fascinated by the detailed descriptions of human gait abnormalities they wrote about but also how easy it was to apply to myself and my customers. At our store, we pride ourselves on doing very thorough fittings, including detailed athlete history, foot and leg observations, video gait analysis, and trying on lots of shoes with close customer care. We’ve been doing this fitting process since we opened in the late 2000’s and have built a very solid following based upon customer care and attention to detail. We try to avoid the fads and base our process on scientifically valid methods. Through my explorations over the past couple of years, it became apparent that some of the things we were doing were right and some were wrong. I had the opportunity to watch Shawn and Ivo speak at the 2011 IRRA conference and was very excited when they announced the upcoming release of a shoe fitting certification. It took a bit longer than expected, but it was well worth it. The three Level I videos were very clear and easy to understand, and it was an easy shift to apply the concepts to our fitting process. I took and passed the Level I exam today in fact, and am working on the first wave of changes our store will be implementing on our shoe fitting process. My understanding of the anatomy and physiology of human gait is incredibly better now. In fact, I was able to apply concepts from the videos to a customer the other day whom I would not have served as completely without that knowledge. She had been fit at our store in the past, but commented that our level of knowledge really seemed to grow in the interim. She loved learning about why her feet her and why certain shoes felt better. She was also very grateful to learn exercises to help her particular condition. Gait Guys. Certified! Get the edge!